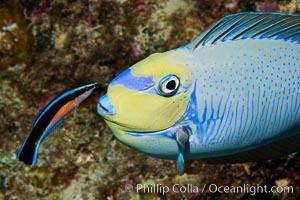 Bignose Unicornfish, Naso vlamingii, being cleaned by a small wrasse, Fiji Wrasse Photo. 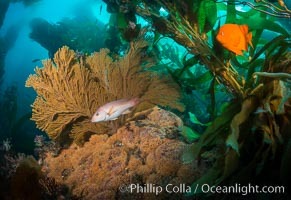 California golden gorgonian, Garibaldi and Sheephead wrasse fishes on rocky reef, below kelp forest, underwater. The golden gorgonian is a filter-feeding temperate colonial species that lives on the rocky bottom at depths between 50 to 200 feet deep. Each individual polyp is a distinct animal, together they secrete calcium that forms the structure of the colony. 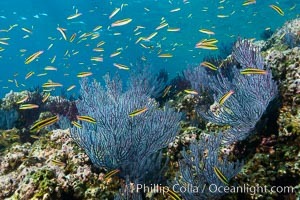 Gorgonians are oriented at right angles to prevailing water currents to capture plankton drifting by Wrasse Picture. Harlequin tuskfish. 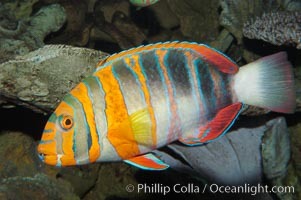 Stock Photography of Wrasse. 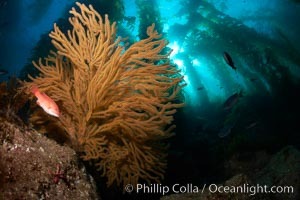 California golden gorgonian and small juvenile sheephead fishes on rocky reef, below kelp forest, underwater. The golden gorgonian is a filter-feeding temperate colonial species that lives on the rocky bottom at depths between 50 to 200 feet deep. Each individual polyp is a distinct animal, together they secrete calcium that forms the structure of the colony. Gorgonians are oriented at right angles to prevailing water currents to capture plankton drifting by. 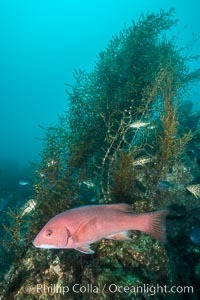 Photograph of Wrasse. California Golden gorgonian, red gorgonian, sheephead. Wrasse Photos. 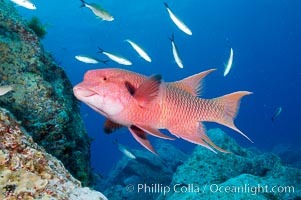 Mexican hogfish, adult male showing fleshy bump on head, Revilligigedos. Wrasse Image. 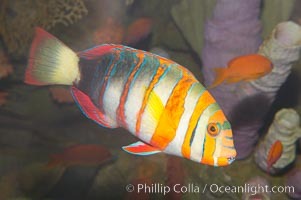 Harlequin tuskfish. Professional stock photos of Wrasse. 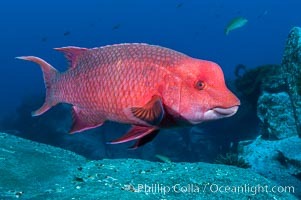 Mexican hogfish, adult male showing fleshy bump on head. Pictures of Wrasse. 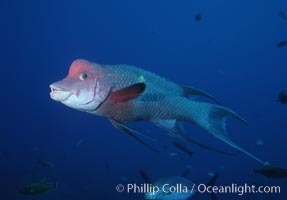 Mexican hogfish, adult male showing fleshy bump on head. Wrasse Photo. Mexican hogfish, adult male showing fleshy bump on head. Wrasse Picture. 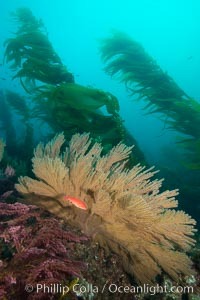 California golden gorgonian and small juvenile sheephead fishes on rocky reef, below kelp forest, underwater. The golden gorgonian is a filter-feeding temperate colonial species that lives on the rocky bottom at depths between 50 to 200 feet deep. Each individual polyp is a distinct animal, together they secrete calcium that forms the structure of the colony. 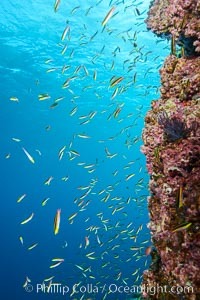 Gorgonians are oriented at right angles to prevailing water currents to capture plankton drifting by Stock Photography of Wrasse. 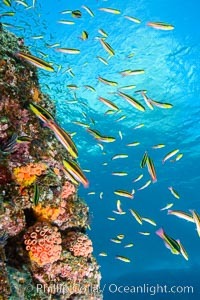 Cortez rainbow wrasse schooling over reef in mating display, Sea of Cortez, Baja California, Mexico. Photograph of Wrasse. 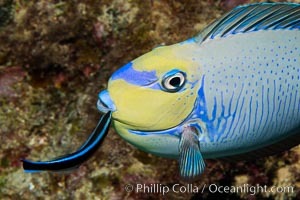 Bignose Unicornfish, Naso vlamingii, being cleaned by a small wrasse, Fiji Wrasse Photos. 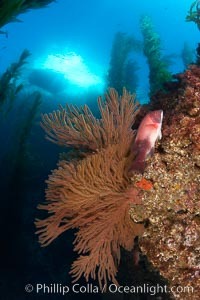 California golden gorgonian and Sheephead wrasse fish on rocky reef, below kelp forest, underwater. The golden gorgonian is a filter-feeding temperate colonial species that lives on the rocky bottom at depths between 50 to 200 feet deep. Each individual polyp is a distinct animal, together they secrete calcium that forms the structure of the colony. 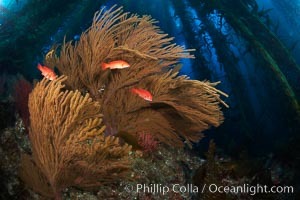 Gorgonians are oriented at right angles to prevailing water currents to capture plankton drifting by Wrasse Image. 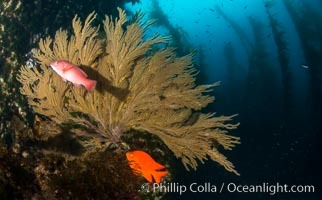 California golden gorgonian, Garibaldi and Sheephead wrasse fishes on rocky reef, below kelp forest, underwater. The golden gorgonian is a filter-feeding temperate colonial species that lives on the rocky bottom at depths between 50 to 200 feet deep. Each individual polyp is a distinct animal, together they secrete calcium that forms the structure of the colony. Gorgonians are oriented at right angles to prevailing water currents to capture plankton drifting by Professional stock photos of Wrasse. 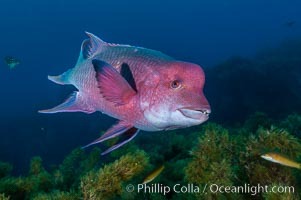 Sheephead and invasive sargassum, Catalina Pictures of Wrasse. 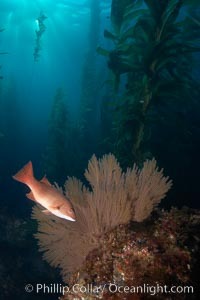 California sheephead and golden gorgonian, giant kelp forest filters sunlight in the background, underwater. Wrasse Photo. 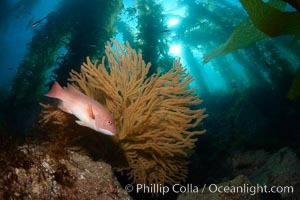 California sheephead and golden gorgonian, giant kelp forest filters sunlight in the background, underwater. Wrasse Picture. 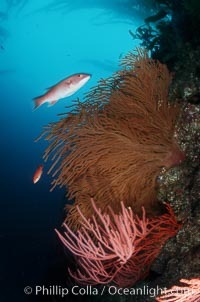 California golden gorgonian and Sheephead wrasse fishes on rocky reef, below kelp forest, underwater. The golden gorgonian is a filter-feeding temperate colonial species that lives on the rocky bottom at depths between 50 to 200 feet deep. Each individual polyp is a distinct animal, together they secrete calcium that forms the structure of the colony. Gorgonians are oriented at right angles to prevailing water currents to capture plankton drifting by Stock Photography of Wrasse. 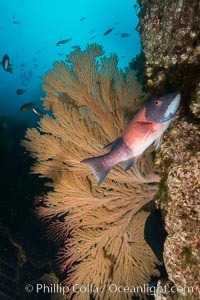 Juvenile sheephead and gorgonian, Catalina Photograph of Wrasse. Cortez rainbow wrasse schooling over reef in mating display Wrasse Photos. 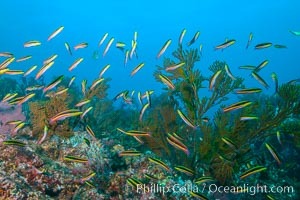 Cortez rainbow wrasse schooling over reef in mating display Wrasse Image. 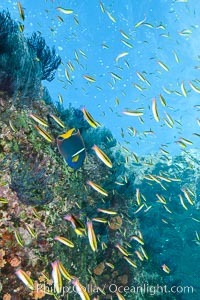 Cortez rainbow wrasse schooling over reef in mating display Professional stock photos of Wrasse. Cortez rainbow wrasse schooling over reef in mating display Pictures of Wrasse. 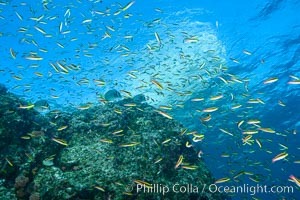 Cortez rainbow wrasse schooling over reef in mating display Wrasse Photo. 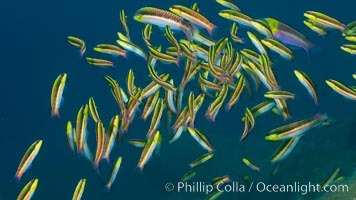 Cortez rainbow wrasse schooling over reef in mating display Wrasse Picture. 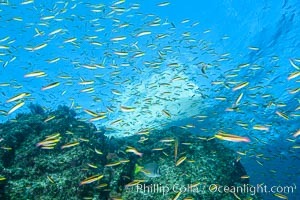 Cortez rainbow wrasse schooling over reef in mating display Stock Photography of Wrasse. 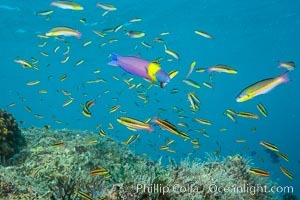 Cortez rainbow wrasse schooling over reef in mating display Photograph of Wrasse. 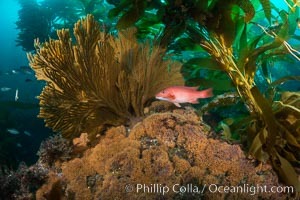 Sheephead and golden gorgonian, underwater in a kelp forest. Wrasse Photos. 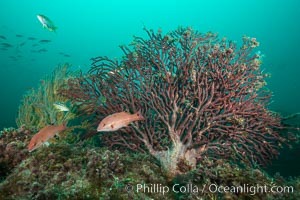 Gorgonians grow on rocky reef, kelp forest and a white boat floating on the surface can be seen in the background, underwater. Wrasse Image.